I've marked up and highlighted this book; it's a keeper. 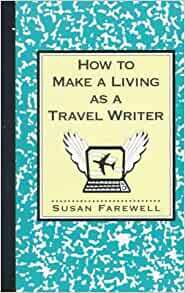 For anyone just starting out in the travel writing industry, Susan Farewell gives a great introduction to the way the industry works. This book even includes tips and examples on how to write different types of articles and query letters. Unfortunately, this book is a little weak on information about marketing yourself and selling your articles. Depsite this, it's a very informative and useful book, as well as a great addition to the writer's library. This book had alot of good details in it and it will help you out if you follow what it says! I am an independent consultant and I have found that the strategies that writers employ to get jobs, sell themselves and their work are useful in any line of business.